We’re proud to say that almost all of our patients followed us to Broadbeach and we continue to offer generations of loyal families quality dental care on the Gold Coast. So why do they keep coming back? We think part of it is because they see the same friendly faces every time! Many of our team members have been with the practice for over 20 years. If you love what we do too, then the greatest compliment you can give is to refer us to your family and friends. 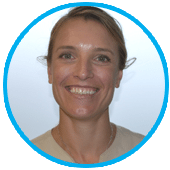 Melanie graduated from University of Queensland Dental School with honours in 2002 and has been part of the Oracle Dental team since 2004. Mel is experienced in all facets of dentistry and her gentle manner has made her popular with our patients. She is married and enjoying being a Mum to her two beautiful daughters, Layla and Tillie. Shane graduated from Adelaide University Dental School. He has worked in the private, public and university sectors since graduating in 2005. 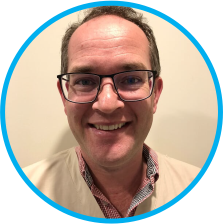 Shane is experienced in all aspects of general practice and speaks fluent mandarin. In his spare time Shane enjoys playing the piano, learning languages and spending time with his wife and son. Jacki graduated from University of Queensland Dental School with honours in 1999. 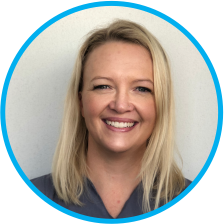 She has worked in a number of private practices since 1999 and has extensive experience in all facets of dentistry, with a particular interest and flair for cosmetic dentistry. We welcomed Jacki to the Oracle Dental team in early 2013. Away from the surgery, Jacki enjoys keeping fit, playing touch football and spending time with her husband and son Lockyer. Karen is our friendly face at the front desk. She has worked in the dental industry since 1989 and is only too happy to answer any questions you may have. And when she’s not manning our reception? She can be found taxiing 2 beautiful children around or having much needed time out at the beach, reading a book. Meg has been a dedicated dental nurse for over 19 years. She is very gentle and loves a chat with our patients. Meg enjoys travel and spending time with her beloved family and kitties. Kaye enjoys all aspects of being a dental assistant and has been part of our team on and off since 1991 (she loves us and the patients so much she can’t stay away for long). Kaye loves socialising with family and friends and looking after her adorable grandchildren. She can often be found having a long stroll along the beautiful Broadwater.